Every man is rich or poor, according to the proportion between his enjoyments and his desires; any enlargement of wishes is therefore equally destructive to happiness with the diminution of possession; and he that teaches another to long for what he shall never obtain, is no less an enemy to his quiet, than if he had robbed him of part of his patrimony. This week’s words are coming to you from Saskatoon, Saskatchewan in Canada, where I’m attending the Editors Canada conference. This means, of course, that any measurements in this post will be in metric. Today’s new-to-me word isn’t actually new to me. But the last time I gave the term any thought was decades ago in school, back when I was studying Anglo-Saxon poetry. The word is kenning, which describes a literary device found in old Saxon and Norse poetry. Basically speaking, a kenning is a metaphoric pair: examples from Beowulf include “whale-road” for “sea” and “sky-candle” for “the sun.” The device lived on and appears also for example in poems by Ezra Pound (“Bitter breast-cares have I abided”) and Robert Frost (“the early petal-fall is past”). There are many of these. 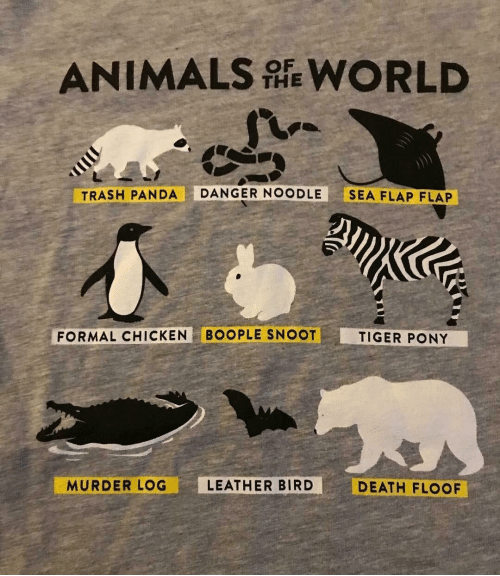 There is a kind of grammar to them, which is not for me to attempt to describe here, but I will note that individual words like danger, floof, bear, chicken, and boop appear regularly. The linguist Lauren Gawne points out that English likes to use compounding for new terms, and maybe words like laptop and web browser are other modern kennings. For our purposes today, it probably isn’t that important which new words constitute kennings. Me, I’m just delighted to get this word back into my word-hoard. It would be a neat explanation if the word for primping in front of the mirror was just a metaphoric extension of what birds do. But the trail is a bit confused; there seems to be some overlap with the verb to prune (as with plants). The bird behavior “influenced” the development of to preen. (It turns out that people have confused similar-sounded words forever, basically.) There’s a succinct list of the possibilities in the Douglas Harper’s online etymological dictionary. But I’ll never really look at Donald Duck the same again.